(MENAFN - UkrinForm) The foreign partners are satisfied with Ukrainian weapons and equipment. 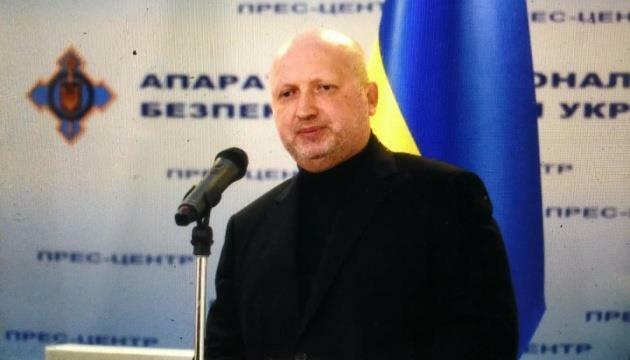 'Our foreign partners are satisfied with Ukrainian weapons and equipment, Oleksandr Turchynov, the Secretary of the National Security and Defense Council of Ukraine said at the Arms and Security 2018 exhibition, his press service reports. The Secretary discussed the issues of defense and security cooperation with the heads of the delegations of Poland, Kazakhstan, Saudi Arabia, the Czech Republic, Turkey and Thailand. In particular, Turchynov discussed the expansion of bilateral military-technical cooperation during the talks with Royal Thai Marine Corps Vice Admiral Sangkorn Pongsiri. 'The Thai defense officials expressed interest in the new Ukrainian BTR-MB1 armoured personnel vehicles, which, according to them 'could become the main combat vehicles of the Royal Marine Corps. Thai high-ranking officials informed that the military equipment and weapons purchased from Ukraine, in particular, tanks and armoured personnel vehicles, 'were tested successfully and already adopted for service."